The Earth, planets, stars, and galaxies form only the visible portion of the matter in the universe. Greater by far is the share accounted for by invisible “dark matter”. Scientists have searched for the particles of dark matter in numerous experiments – so far, in vain. With the CRESST experiment, the search radius can be considerably expanded: The CRESST detectors are being overhauled and are then able to detect particles whose mass lies below the current measurement range. As a consequence, the chance of tracking dark matter down goes up. The current lower limit of 10 GeV/c2 (GeV: gigaelectronvolt; c: speed of light) roughly corresponds to the mass of a carbon atom. However, recently various new theoretical models have been developed with the potential of solving long-standing problems, like the difference between the simulated and the observed dark matter profile in galaxies. Several of theses models hint towards dark matter candidates below the mass of the traditional WIMP. Now CRESST has achieved an important step toward tracking down these potential “lightweights”: In a long-term experiment with one detector, the researchers achieved an energy threshold of 307 eV. 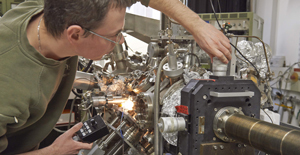 “With that, this detector is best suited for measurements between 0.5 and 4 GeV/c2, improving its sensitivity by 100 times,” says Dr. Jean-Côme Lanfranchi, scientist at the Chair for Experimental and Astroparticle Physics at Technical University of Munich. “We now can detect particles that are considerably lighter than WIMPs – for example dark matter particles with a weight comparable to a proton, which has a mass of 0.94 GeV/c2”, adds Petricca. On the basis of the newly gained insights, the scientists will now equip the experiment with the novel detectors. The next measurement cycle of CRESST is expected to begin at the end of 2015 and last for one to two years. 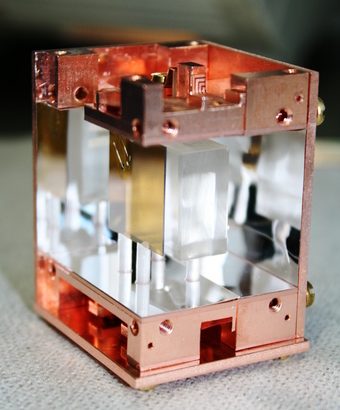 The central part of all CRESST detectors is a crystal of calcium tungstate. When a particle hits one of the three crystal atoms (calcium, tungsten, and oxygen), the detectors simultaneously measure energy and light signals from the collision that deliver information about the nature of the impinging particle. 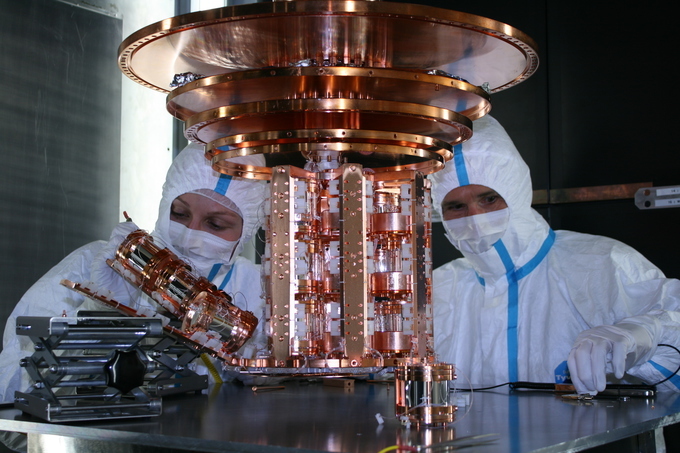 In order to catch even the smallest possible temperature and light signals, the detector modules are cooled to near absolute zero (-273.15 degrees C). To eliminate disturbing background events, the CRESST scientists employ – for one thing – materials with little natural radioactivity. In addition, the experiment stands in the world’s largest underground laboratory, in the Italian mountain Gran Sasso, and thus is largely shielded from cosmic rays. 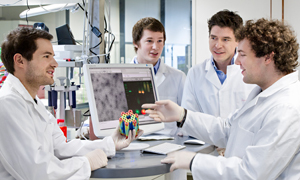 CRESST will work in the future with smaller and – compared to commercially manufactured materials – ultrapure crystals. With the reduced size a lower energy threshold can be achieved. These crystals are grown at the Technical University of Munich and exhibit extremely low innate radioactivity, making the experiment more sensitive. The original bronze crystal holdings have been replaced with calcium tungstate. With this, the number of undesired effects due to natural radioactivity on the metal surfaces can be strongly reduced. The precision of the light detector has been optimized – collisions of already known particles can be more clearly distinguished from collisions of dark matter particles. 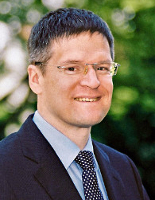 Participants in the CRESST collaboration <http://www.cresst.de/people.php include the Max Planck Institute for Physics, the University of Oxford, the Technical University of Munich, the University of Tübingen, the Institute of High Energy Physics in Vienna, the Vienna University of Technology, and the Gran Sasso National Laboratory of the Istituto Nazionale di Fisica Nucleare in Italy. The work was funded by the German Research Foundation (DFG; via Cluster of Excellence Origin and Structure of the Universe), the Helmholtz Alliance for Astroparticle Physics (HAP) and the German Federal Ministry for Education and Research (BMBF).